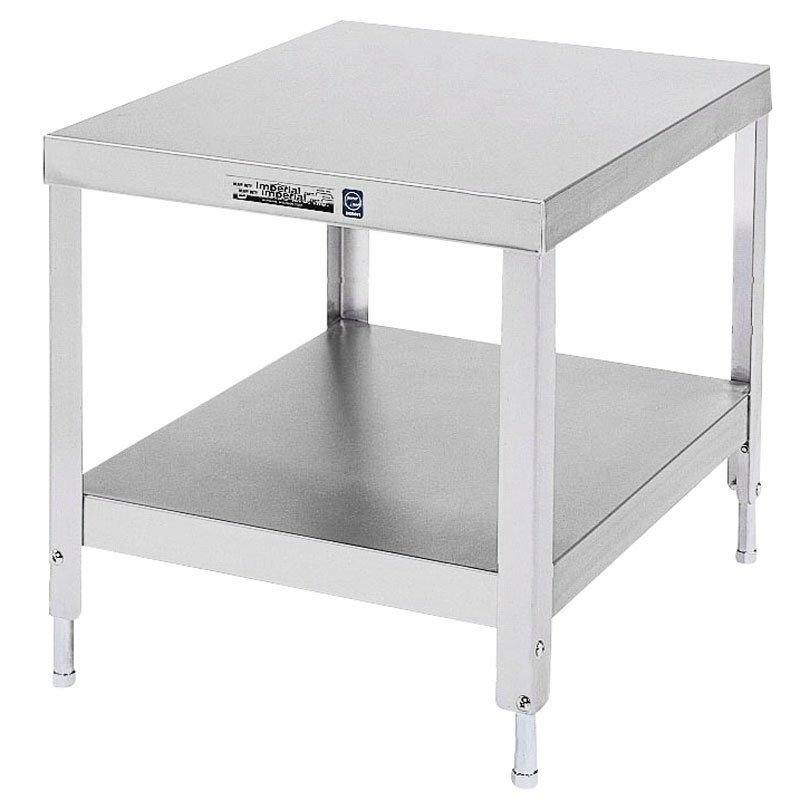 Lakeside 536 Stainless Steel Stationary NSF Equipment Stand with Undershelf - 21 1/4" x 25 1/4" x 29 3/16"
21 1/4" x 25 1/4" x 29 3/16"
25 1/4" x 33 1/4" x 21 3/16"
25 1/4" x 33 1/4" x 29 3/16"
Ensure steady and safe use of your equipment with this Lakeside 536 21 1/4" x 25 1/4" x 29 3/16" stainless steel 2 shelf stationary NSF equipment stand with undershelf. Place your equipment on the top and use the lower shelf for accessories, ingredients, spare bowls, and more. Featuring four adjustable feet, this stand provides optimal stability and ensures your table remains stationary throughout usage. Made of durable 18 gauge stainless steel, this stand is easy to clean and sanitize. Featuring a reinforced top and 12 gauge angle legs welded to the top and undershelf at all points, this quality stand provides optimal stability. Add this stand's versatility and durability to your kitchen or catering business for superior quality and product life!